The first-ever Dubai Festival City Run will take place on November 9 with Al-Futtaim Group Real Estate’s fully integrated mega project set to host the run organised by RaceME. Depending on skill level, runners can take part in the 21km half marathon, the 10km or 5km routes and finally, kids can also participate in the 1km Festival City Run Teeny Tiny. Those wishing to register can do so at www.raceme.ae/dfc and online registrations is open until November 3. The Dubai Festival City Run half marathon will start at 06:30. The run is open to both seasoned marathon runners as well as aspiring amateurs and will take them through some of Dubai Festival City’s most scenic routes including the Dubai Festival City Mall, Automotive Park and the Festival Bay, Marsa Plaza and Al Badia Residences. 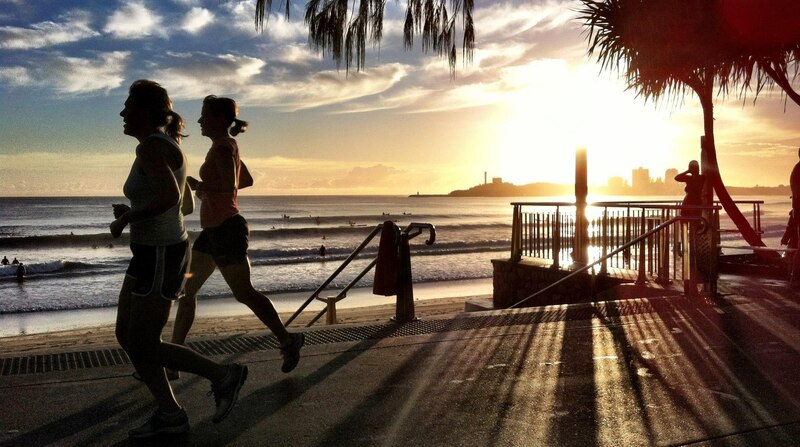 There is also a Race Village located close to Festival Bay with a number of F&B options for spectators and run participants. “The Dubai Festival City Run is the first step in a number of health-focused events planned within the destination,” said Samer Zabian, Director – Residential & Commercial Property at Al-Futtaim Group Real Estate. Dubai Festival City has been actively encouraging visitors and residents to embrace healthy living with a number of events taking place within the destination including the Organic Souk which gave an opportunity for visitors to buy delicious farm-fresh goods directly from the people who grow them. The Dubai Festival City Run is being held as part of the Dubai Fitness Challenge and with the support of Dubai Sports Council, Dubai Police, Dubai RTA and Dubai Municipality. 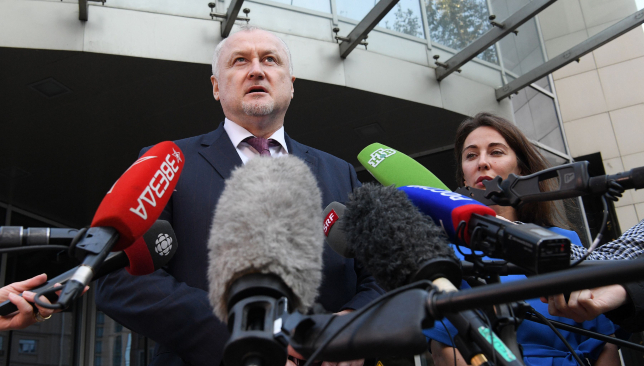 RUSADA chief Yury Ganus addresses the media after the decision. 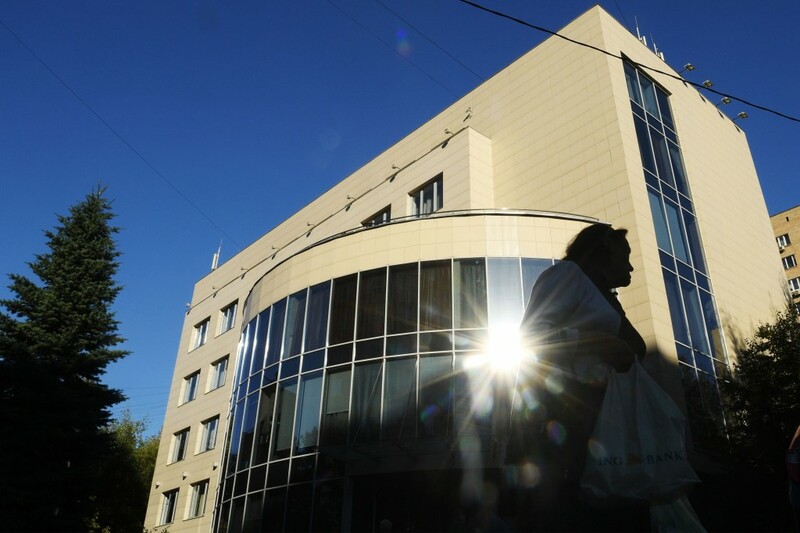 The World Anti-Doping Agency (WADA) has reinstated the Russian Anti-Doping Agency (RUSADA) nearly three years after it was suspended for its central role in the country’s doping scandal. The decision, which will provoke fury among athletes and anti-doping experts around the world, was reached at a meeting of WADA’s 12-strong executive committee in the Seychelles. In a statement released on Twitter, WADA president Sir Craig Reedie said: “Today, the great majority of WADA’s ExCo decided to reinstate RUSADA as compliant with the code subject to strict conditions, upon recommendation by the agency’s independent CRC (Compliance Review Committee) and in accordance with an agreed process. Further proof of Russia’s endemic cheating emerged in 2016, when a second investigation, led by Canadian law professor Richard McLaren, broadened the scandal to more than 1,000 athletes, in 30 sports, over a five-year period. WADA, however, had already agreed a “roadmap to compliance” for RUSADA with the Russian authorities by this point and steady progress was made on restructuring the disgraced agency and retraining its staff during 2016 and 2017. But momentum on two remaining criteria – public acceptance of the McLaren report and allowing independent access to the Moscow lab’s data and stored samples – ground to a halt, heaping pressure on WADA’s leadership to compromise and revise the roadmap. The RUSDA building in Moscow. After months of secret negotiation, WADA and Russian sports minister Pavel Kolobkov finally agreed a deal on the two outstanding criteria on Thursday and that is what the executive committee has approved in the Seychelles. Russia will agree to admit that certain individuals within the sports ministry, RUSADA and the Moscow lab were to blame – but nobody further up the chain of command – and a mutually-agreed independent expert will be given access to the lab within a fixed period after reinstatement. Holding Russia to account on the latter, will be crucial to how this deal is accepted by athletes and anti-doping experts, although the overwhelming majority are already dismayed that the country responsible for one of sport’s worst scandals has been given any wriggle room at all. The fact it has, however, can largely be explained by the International Olympic Committee‘s (IOC) desire to bring Russia in from the cold: RUSADA’s suspension has underpinned the bans on Russia’s athletics federation and national Paralympic committee, and prevented all international sports federations from planning any major events in Russia. Unsurprisingly, all six of the IOC’s representatives on the ExCo backed the compromise, with three of the six representatives from national governments also agreeing to it. WADA’s vice-president Linda Helleland had already revealed she would reject it and it is understood that New Zealand’s sports minister Grant Robertson backed her, with one abstention. Reaction to the decision is likely to split into two camps, with some seeing it as a common-sense solution to a deadlock that was hurting innocent Russian athletes and causing headaches for sports administrators. They will also claim that Russian cooperation on the issue of lab access is the only way to ensure any of the potential 4,500 anti-doping cases ever proceed. The other camp, however, will view this as a betrayal of Olympic values and clean athletes everywhere, and very possibly the death knell for WADA. In a statement, Jim Walden, the American lawyer of one of the main whistle-blowers in this saga, former Moscow lab boss Dr Grigory Rodchenkov, said: “WADA’s decision to reinstate Russia represents the greatest treachery against clean athletes in Olympic history. For a man who is considered the greatest marathon runner of all time, Eliud Kipchoge is not your typical celebrity. At his training base on the outskirts of Eldoret in Western Kenya, he scrubs toilets, draws water from the local well and helps clean the dusty athletics track where he trains with his friends daily. 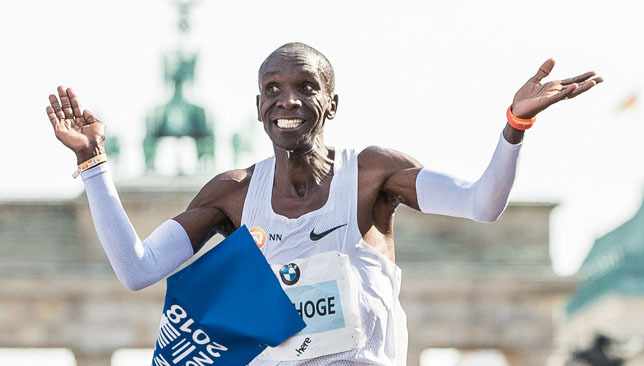 His fellow athletes call him ‘the boss’, and he certainly lived up to that billing when breaking the world record at the Berlin Marathon on Sunday in sensational fashion. His time of 2hr 01min 39sec was enough to shave 78 seconds off the previous best time set by Dennis Kimetto at the same venue four years ago. But the fact that he ran the last 17 kilometres on his own, without pacemakers who dropped off and could’t keep up with his speed, was even more scintillating. Nevertheless, the Kenyan has proved under intense spotlight and media attention that nothing is impossible when it comes to marathon running. Last year, he attempted to break the two-hour marathon barrier as part of Nike’s Breaking2 project in Monza. Although his time of 2:00:25 was not an official record because of the pacing and hydration strategies employed during the race, his finish that day proved Kimetto’s record was beatable. In Germany at the weekend, his splits were breathtaking: his average speed was 13mph and the average pace was 2.83 minutes-per-km for each kilometre of the 42.195km race. To break that down further, he ran every 400m in 68.8 seconds and covered 30km in 1:26:45, the fastest time ever recorded for that distance. Of course, there will be some onlookers who will be suspicious of his achievements, and that is understandable due to the various problems that exist across athletics. But no negativity has ever been drawn towards Kipchoge and his coach Patrick Sang because of their openness over the years. In fact, this outstanding achievement has been nearly 15 years in the making. The 33-year-old claimed gold at the world championships over 5,000m in 2003, and went on to seal silver and bronze at the 2004 and 2008 Olympics. In 2012, he moved up to marathon distance and clinched Olympic gold four years later in Rio de Janeiro. Since turning to the 42.195km distance, Kipchoge has notched up 10 wins from the 11 marathons he has raced, winning three times in Berlin and London, as well as victory in Hamburg, Rotterdam and Chicago. But what now for the Kenyan after breaking the world record? He still has time on his side to attempt to dip under two hours, but he will need to beat the mark soon before he slows up. He turns 34 in November. Finding a pacemaker to stay with him further into the race would be a massive help, pushing him to the maximum in order to squeeze every ounce of energy from his legs. Very few people in the world can keep up with him beyond 15 miles. When he crossed the finish line on Sunday, he looked fresh and didn’t appear to have run to the absolute brink of his limitations. And, the significant question will be whether his coach Sang opts to change his race schedule or training programme over the next year to cope with the various commitments that being the best in the world brings. In a famous research paper in 1991, Dr. Michael Joyner predicted the absolute human limit to be 1hr 58mins. Then, with the record at 2:06:50 – that seemed a ridiculous prediction to make. The record has been broken 10 times since then, with over four minutes being shaved off the previous time of 2:06:05 set that year. 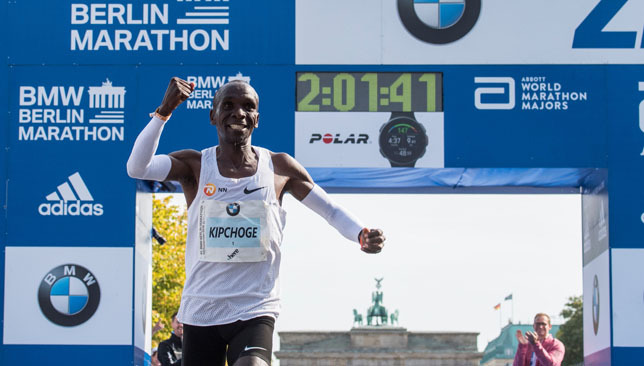 Two hours may seem a surreal target, but Kipchoge’s heroics in Berlin has certainly given hope to a younger generation of athletes to continue to push the boundaries in their quest to achieve the inhumane. It’s clear that this time will be challenged, but thanks to Kipchoge, it can really open the eyes of the running community that this is possible.